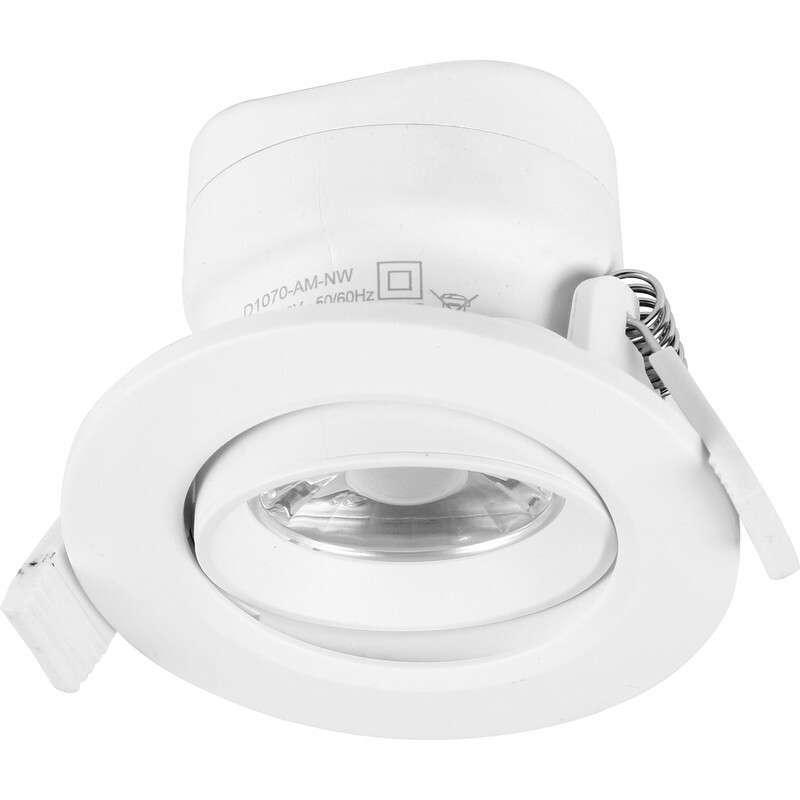 Mark Lighting Adjustable Integrated Dimmable LED IP20 Downlight 7W Cool White 650lm A+ is rated 5.0 out of 5 by 1. Rated 5 out of 5 by Old Bluey from Great value and nice light It is difficult to find LED lamps that are not daylight or warm white. I prefer a more natural white. These fit the bill perfectly, are adjustable and dimmable. Absolutely perfect at a very reasonable price ! !